Does anyone else have the urge to run out to the local furniture re-sale shop and get a round table just to re-create this amazing table?! Lisa worked with our Design Team to create this version of our very popular Bless The Food Quote. We have many different variations of this quote (see them all here), but she needed something very custom. 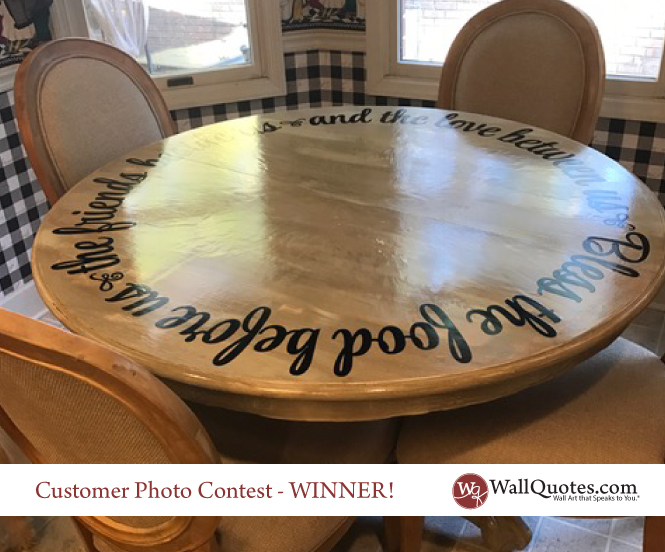 We worked with her to get the sizing of the table and the arrangement of the quote just right. Once everything was final, we sent this to her in multiple pieces. She received this last proof showing the size of the table (the red line) and how the pieces would come so they could be arranged easily (each color of text was a separate piece). 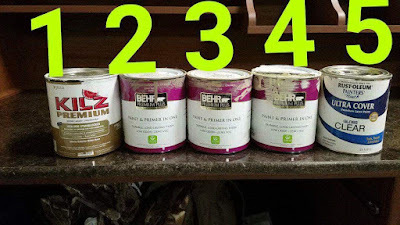 (1) The first one I used was Kilz primer, sealer and stain blocker. (2) Then after that dried I used Behr premium plus bristol beige. (3) After sanding that down I used Behr premium plus craft brown. Sanded that down to have the second color come through. 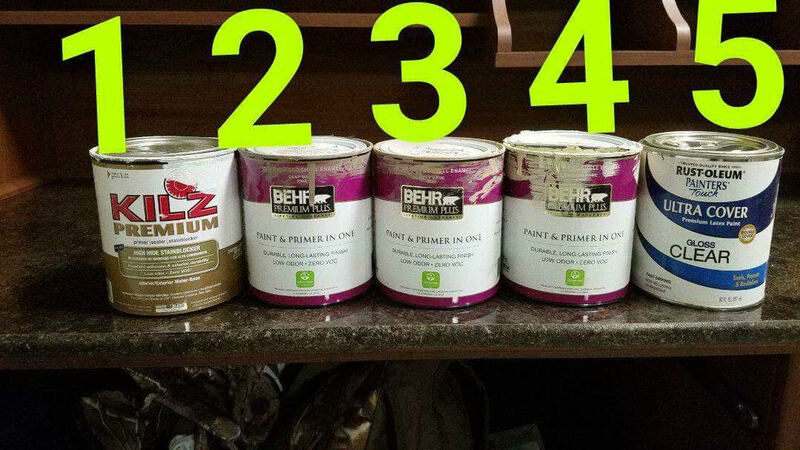 (4) Lastly I used Behr premium plus concord buff in random places. (5) To seal it off I used rust-oleum ultra cover gloss clear. Did about 4 coats of that. We love the design and how easy you all are to work with on a project. 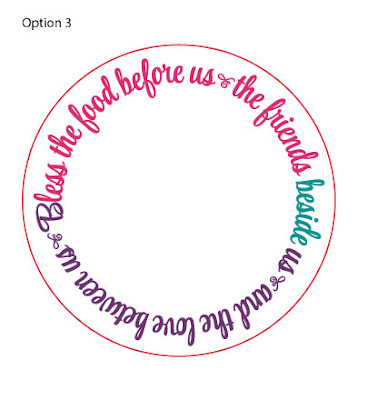 For reference, Lisa's table was 48" round and the decal came to 44.5" round. Thank you for sharing Lisa! We can't wait to see what you to with your $50 giftcard!!! Send in those photos to info@wallquotes.com. Or, tag us @wallquotes on Instagram or @belvederedesigns on Facebook to enter for next month's drawing!